While picking up a few items at Whole Foods this morning I made an amazing discovery. Frozen cherries are back! 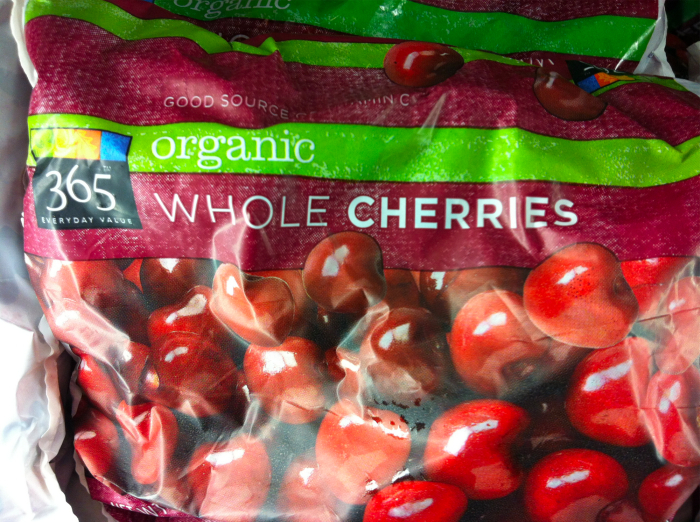 Whole Foods has not stocked these for quite awhile and ever since late summer my life has been cherry-less. I usually do not eat fruit out of season but I make an exception for organic frozen fruit. Flash freezing helps the fruit retain most of its nutrients and vitality and frozen fruit add great thickness to a smoothie without adding ice. With my freezer full of organic frozen cherries I plan on having this at least a few times this week!